The U.S. Consumer Product Safety Commission (CPSC) and Fisher-Price took the advice of the American Academy of Pediatrics and issued a recall of 4.7 million Rock 'n Play infant sleepers following reports of infant deaths. This product is dangerous and parents and caregivers are urged to stop using it right away. An investigation by Consumer Reports that found 32 infants had died while using the sleeper since 2011. Some of the infants rolled over while unrestrained and some were unable to breathe due to their position. To request a refund for the Rock 'n Play, visit http://bit.ly/RockNPlayRecall or call the company at 866-812-6518. Those who have owned the Rock 'n Play for 6 months or less will receive a cash refund while those who have owned them longer will receive a voucher for a new Fisher-Price product. The AAP does not recommend letting infants sleep in inclined products like the Rock 'n Play that require restraining a baby. AAP policy calls for infants to sleep on their back, on a separate, flat and firm sleep surface without any bumpers, bedding or stuffed toys. More than 3,500 babies in the U.S. die suddenly and unexpectedly every year while sleeping, often due to sudden infant death syndrome (SIDS) or accidental deaths from suffocation or strangulation. In an effort to reduce the risk of all sleep-related infant deaths, the American Academy of Pediatrics' (AAP) updated policy statement and technical report includes new evidence that supports skin-to-skin care for newborn infants; addresses the use of bedside and in-bed sleepers; and adds to recommendations on how to create a safe sleep environment. Note: All of these recommendations, unless mentioned otherwise, are for babies up to 1 year of age. Talk with your pediatrician if you have questions about any of the recommendations listed. Until their first birthday, babies should sleep on their backs for all sleep times—for naps and at night. We know babies who sleep on their backs are much less likely to die of SIDS than babies who sleep on their stomachs or sides. The problem with the side position is that the baby can roll more easily onto the stomach. Some parents worry that babies will choke when on their backs, but the baby's airway anatomy and the gag reflex will keep that from happening. Even babies with gastroesophageal reflux (GERD) should sleep on their backs. Newborns should be placed skin-to-skin with their mother as soon after birth as possible, at least for the first hour. After that, or when the mother needs to sleep or cannot do skin-to-skin, babies should be placed on their backs in the bassinet. While preemies may need to be on their stomachs temporarily while in the NICU due to breathing problems, they should be placed on their backs after the problems resolve, so that they can get used to being on their backs and before going home. Some babies will roll onto their stomachs. You should always place your baby to sleep on the back, but if your baby is comfortable rolling both ways (back to tummy, tummy to back), then you do not have to return your baby to the back. However, be sure that there are no blankets, pillows, stuffed toys, or bumper pads around your baby, so that your baby does not roll into any of those items, which could cause blockage of air flow. If your baby falls asleep in a car seat, stroller, swing, infant carrier, or sling, you should move him or her to a firm sleep surface on his or her back as soon as possible. Use a firm sleep surface. A crib, bassinet, portable crib, or play yard that meets the safety standards of the Consumer Product Safety Commission (CPSC) is recommended along with a tight-fitting, firm mattress and fitted sheet designed for that particular product. Nothing else should be in the crib except for the baby. A firm surface is a hard surface; it should not indent when the baby is lying on it. Bedside sleepers that meet CPSC safety standards may be an option, but there are no published studies that have examined the safety of these products. In addition, some crib mattresses and sleep surfaces are advertised to reduce the risk of SIDS. There is no evidence that this is true, but parents can use these products if they meet CPSC safety standards. Room share—keep baby's sleep area in the same room where you sleep for the first 6 months or, ideally, for the first year. Place your baby's crib, bassinet, portable crib, or play yard in your bedroom, close to your bed. The AAP recommends room sharing because it can decrease the risk of SIDS by as much as 50% and is much safer than bed sharing. In addition, room sharing will make it easier for you to feed, comfort, and watch your baby. Only bring your baby into your bed to feed or comfort. Place your baby back in his or her own sleep space when you are ready to go to sleep. If there is any possibility that you might fall asleep, make sure there are no pillows, sheets, blankets, or any other items that could cover your baby's face, head, and neck, or overheat your baby. As soon as you wake up, be sure to move the baby to his or her own bed. Never place your baby to sleep on a couch, sofa, or armchair. This is an extremely dangerous place for your baby to sleep. Your baby is younger than 4 months old. Your baby was born prematurely or with low birth weight. You or any other person in the bed is a smoker (even if you do not smoke in bed). The mother of the baby smoked during pregnancy. You have taken any medicines or drugs that might make it harder for you to wake up. You are not the baby's parent. The surface is soft, such as a waterbed, old mattress, sofa, couch, or armchair. There is soft bedding like pillows or blankets on the bed. Keep soft objects, loose bedding, or any objects that could increase the risk of entrapment, suffocation, or strangulation out of the baby's sleep area. These include pillows, quilts, comforters, sheepskins, blankets, toys, bumper pads or similar products that attach to crib slats or sides. If you are worried about your baby getting cold, you can use infant sleep clothing, such as a wearable blanket. In general, your baby should be dressed with only one layer more than you are wearing. It is fine to swaddle your baby. However, make sure that the baby is always on his or her back when swaddled. The swaddle should not be too tight or make it hard for the baby to breathe or move his or her hips. When your baby looks like he or she is trying to roll over, you should stop swaddling. Try giving a pacifier at nap time and bedtime. This helps reduce the risk of SIDS, even if it falls out after the baby is asleep. If you are breastfeeding, wait until breastfeeding is going well before offering a pacifier. This usually takes 2-3 weeks. If you are not breastfeeding your baby, you can start the pacifier whenever you like. It's OK if your baby doesn't want a pacifier. You can try offering again later, but some babies simply don't like them. If the pacifier falls out after your baby falls asleep, you don't have to put it back in. Do not smoke during pregnancy or after your baby is born. Keep your baby away from smokers and places where people smoke. If you are a smoker or you smoked during pregnancy, it is very important that you do not bed share with your baby. Also, keep your car and home smoke-free. Don't smoke anywhere near your baby, even if you are outside. Do not use alcohol or illicit drugs during pregnancy or after the baby is born. It is very important not to bed share with your baby if you have been drinking alcohol or taken any medicines or illicit drugs that can make it harder for you to wake up. Breastfed babies have a lower risk of SIDS. Breastfeed or feed your baby expressed breast milk. The AAP recommends breastfeeding as the sole source of nutrition for your baby for about 6 months. Even after you add solid foods to your baby's diet, continue breastfeeding for at least 12 months, or longer if you and your baby desire. Schedule and go to all well-child visits. Your baby will receive important immunizations at these doctor visits. Recent evidence suggests that immunizations may have a protective effect against SIDS. Make sure your baby has tummy time every day. Awake tummy time should be supervised by an awake adult. This helps with baby's motor development and prevents flat head syndrome. See Back to Sleep, Tummy to Play for more information and ways to play with the baby during tummy time. Use caution when a product claims to reduce the risk of SIDS. Wedges, positioners, special mattresses and specialized sleep surfaces have not been shown to reduce the risk of SIDS, according to the AAP. Do not rely on home heart or breathing monitors to reduce the risk of SIDS. If you have questions about using these monitors for other health conditions, talk with your pediatrician. There isn't enough research on bedside or in-bed sleepers. The AAP can't recommend for or against these products because there have been no studies that have looked at their effect on SIDS or if they increase the risk of injury and death from suffocation. Rachel Y. Moon, MD, FAAP is a pediatrician and SIDS researcher at the University of Virginia. She is also the Division Head of General Pediatrics and Professor of Pediatrics at the University of Virginia School of Medicine. Her research centers on SIDS and SIDS risk factors, particularly in high risk populations, such as African-Americans and infants attending child care. Within the American Academy of Pediatrics (AAP), she is chair of the Task Force on SIDS and Associate Editor for the journal Pediatrics. Dr. 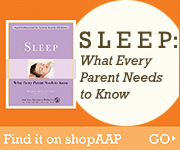 Moon is also the editor of Sleep: What Every Parent Needs to Know.